At TermLife2Go, we provide our clients with the knowledge and expertise of dozens of top rated best life insurance companies, offering exam and no medical exam life insurance. Our goal is to align each client with the right company based on each client’s need, health and lifestyle. We can help you decide if Guarantee Trust Life the right choice for you. Please note: we are not Guarantee Trust Life. If you need to reach the company directly please visit them at gtlic.com or call 800-338-7452. Guarantee Trust Life has been around for more than 80 years, and they’re still going strong. Based out of Illinois, the company has thrived by employing family values such as a commitment towards people and relationships. Now, Guarantee Trust is available in 49 states. In 2014, the company was growing both its surplus and assets each by more than 15%. The Critical Provider is a convertible term life insurance policy that can be converted to permanent life insurance. Great Start Juvenile Life Insurance: Another product Guarantee Trust Life offers is the Great Start Juvenile Life Insurance policy. Not all companies offer life insurance for children, so this is quite unique. When the child turns 25, the policy will automatically continue as Cash Value Whole Life Insurance. If you are looking for a life insurance policy for your child or grandchild, then this is definitely something worth checking out. There are many third party rating organizations that rate financial institutions such as life insurance companies. As of May 2014, A.M. Best Company issued a rating of B+ (good) to GTL Insurance. This rating shows the financial strength and a positive outlook for the future. Guarantee Trust has a diverse portfolio. This helps to protect investors and policy holders like you. With 10% in Municipal Bond Security and 42% in Corporate Securities, your money is safer than it may be with other life insurance companies. Guarantee Trust Life is a reliable company with a solid reputation that has withstood the test of time. Again and again, life insurance policy holders have found Guarantee Life Insurance to offer great products. We don’t have any hesitations about Guarantee Trust Life Insurance as a company. The only real drawback is that when you decide to purchase a life insurance policy from Guarantee Trust Life, you’ll be missing out on what another company may have to offer. Is Guarantee Trust Life Insurance going to offer me a better policy than another company? This is a good question to ask when purchasing a life insurance policy, but it’s a question that doesn’t have the same answer for everyone. For some people, Guarantee Trust Life may be able to underwrite the best policy, but for a person with different circumstances, it may mean you pay higher premiums with GTL Life Insurance than another life insurance company. Life insurance companies consider many things before they underwrite a life insurance policy. They will take a good look at your medical history, lifestyle, and whether or not you are at higher risk of getting a terminal illness than other people. After a company discovers this information about a potential customer, they decide whether or not to underwrite a life insurance policy for someone, and decide what whole or term life insurance rates to offer. It becomes tricky because different life insurance companies may raise the premium for certain things that other companies overlook. So, that’s why we can’t tell you if Guarantee Trust Life is going to offer you the best policy at the best deal or not—we simply do not know until we have more information! TermLife2Go specializes in finding individuals the right life insurance company and policy. We do this by asking you the same kind of questions that a life insurance company would, and then tapping into our extensive knowledge of dozens of the best life insurance companies in the United States (including Guarantee Trust Life). Only then do we make a list of personalized recommendations. We help you find out if Guarantee Life Insurance truly is the best life insurance company for you. If you would like to know more about how we can help you find the right life insurance policy, then give us a call today for a free consultation. 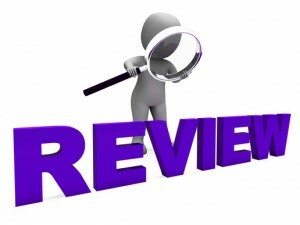 Thank you for reading our review of Guarantee Trust Life. Please leave any questions or comments below.